Big Island police have charged a 29-year-old Keaʻau man with various offenses stemming from a break-in Wednesday (October 24) in Puna. Shortly before 11:45 a.m. Wednesday, a 42-year-old Hawaiian Paradise Park man called police and reported hearing noises from a nearby residence at which the occupant was not home. Responding Puna patrol officers discovered Ronald Keiki Lopes Jr. in the house in the process of dismantling a solar powered system. Officers also observed an ice pipe with residue and syringes that were visible on the front seat of the car Lopes drove to the scene. 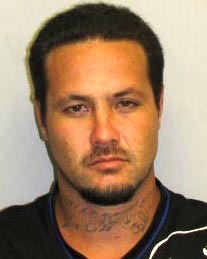 Lopes was arrested and taken to the Hilo police cellblock while detectives from the Criminal Investigations Section continued the burglary investigation and detectives from the Vice Section continued the drug investigation. 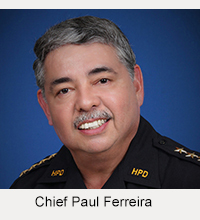 Thursday afternoon (October 25), after detectives conferred with prosecutors, Lopes was charged with one count of first-degree burglary, two counts of third-degree promoting a dangerous drug, and two counts of prohibited acts related to drug paraphernalia. His bail was set at $65,000. He remains in the cellblock pending his initial court appearance scheduled for Friday afternoon. Lieutenant Gregory Esteban from the Area I Criminal Investigations Section credited the Police Department’s partnership with the community for the arrest of this suspect. 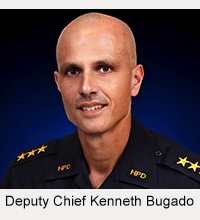 Police continue to ask that anyone with information on burglary activities contact either Detective John Rodrigues Jr. at 961-2384 or jrodrigues@co.hawaii.hi.us or Detective Royce Serrao at 961-8810 or rpserrao@co.hawaii.hi.us.